Whilst you may think of the Gold Coast as just a fun filled destination, the city is also very serious about business. The all important infrastructure and support services are the equal of any city in the world. From a small business meeting to a large convention or exhibition, the Gold Coast has facilities varied enough to meet any request and experienced enough to attend to every detail. 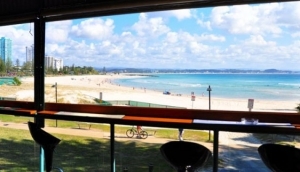 With over 35,000 rooms the Gold Coast offers every possible accommodation option. There are over 500 restaurants and cafes offering a multicultural array of fine foods. Twenty Five percent of our work force is employed in hospitality and every year our venues host more than 4000 meetings, conventions and other programs. The close proximity of venues, accommodation, restaurants, bars, cafes, and beaches means delegates and guests can walk to most activities. World class shopping and entertainment is available for 'recharging' and 'refreshing' and for partners to enjoy. As well as that the Gold Coast has over 300 days a year of sunshine and an average temperature of 23 degrees Celsius (73 degrees Fahrenheit) making it the ideal destination for business events of any size.